You may sell specialty, but it's important to watch the mass-market to keep abreast of new trends and get tipped off early if your own best-sellers are "crossing over." TDmonthly Magazine will be updating our list of mass-market top-sellers every day to make this job easier for you. The WaterWheel play table includes boats, a waterwheel and a cup for pouring, all in an elevated design that keeps children as clean as possible while still encouraging creative water play. 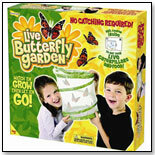 — As of 4/18/2012 this product had 4.6 out of 5 stars from 429 reviews on Amazon.com. 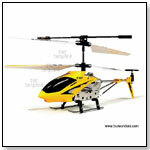 Pros: Easy to assemble; appeals to a wide age range; Lightweight; a good value for the price. Cons: No plug makes it harder to drain; no cover is included. Disney Princess Magic Rise Kitchen Playset by CREATIVE DESIGNS INTERNATIONAL LTD.
Other products from CREATIVE DESIGNS INTERNATIONAL LTD. 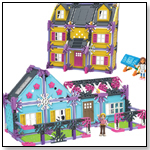 This kitchen set comes with 18 pieces for kids to bake, decorate and display their royal treats. The set works with all Magic Rise toys and is designed to easily fit the Disney Princess Magic Rise Oven (sold separately). The burners light up when the heart gem is pressed. This soft activity gym features an electronic aquarium with classical melodies and dancing lights. A whale-shaped prop-up pillow accompanies baby on this aquatic adventure, which comes to life with the crisp and colorful real-life scenery of the sea on the play mat. A soft textured border encourages tactile development. Remove the arch and the play gym becomes the perfect play mat for tummy time. Tummy time is enhanced by the animal peek-a-boo flaps with real-life imagery, as well as the ability to reposition and attach toys to loops on the mat or loops on the whale pillow. The play gym comes with several developmental and colorful plush and plastic toys, including a large fish-shaped baby-safe mirror, a set of Ocean Discovery cards featuring real-life images of 6 underwater animals, a Baby Neptune rattle, and a star-shaped teether. 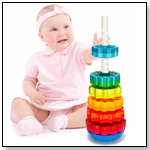 The play gym also has 8 links for repositioning the toys. The plush Octopus with various textures and dangling rattles and teethers offers baby an on-the-go toy. 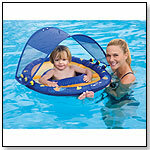 The play gym features a 2-in-1 musical aquarium toy that can be used both with the gym and in the crib. his underwater-themed gym folds up for easy transportation and storage. — As of 05/20/2011 this product has 4.2 out 5 stars from 63 review on Amazon.com. 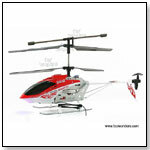 Pros: Lots of elements can be detached; many reviewers like the light-up mobile. Cons: Not interactive enough; noises are annoying/ not melodical enough; not enough toys/toys not interesting enough. 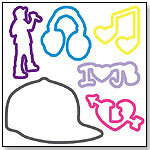 The Silly Bandz 24-piece Justin Bieber Bracelet Set includes 6 shapes with 4 of each style; Headphones, Music Note, I Heart JB, Bieber Heart, Justin Singing and Justin's Hat. Silly Bandz are made of silicone and die molded into these Justin Bieber shapes. All can be worn as bracelets or used as a rubber band. Rainforest Melodies & Lights Deluxe Gym by FISHER-PRICE INC. Kids can now build one of the most famous ships of the Star Wars saga. In the hands of the Rebel Alliance’s brave pilots, the X-wing starfighter helped to destroy two massive Death Stars. With S-foil wings that open to attack position, folding landing gear, a cargo hold and lots of authentic details, the starfighter can be customized as either Luke Skywalker’s Red Five or Wedge’s Red Three X-wing. The set includes Wedge Antilles, Luke Skywalker, Princess Leia, Han Solo, Chewbacca and R2-D2 minifigures. Launch date: Sept. 12, 2006. — “I wish that LEGO didn’t run out … particularly the Star Wars LEGO. … Their warehouse was empty,” commented Lori Hershman, owner of Evan’s Toy Shoppe in Hamden, Conn., about the holidays 2006. — Jordan Walden, store manager for Finnegan's Toys and Gifts in Portland, Ore., told TDmonthly in spring 2007, "We don't do a lot of licensed stuff," but "Star Wars LEGO is probably our best-seller" in the category. Finnegan's sells about 50 a month. 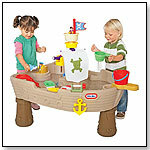 Anchors Away Water Play Pirate Ship by LITTLE TIKES INC. The Anchors Away Pirate Ship is made of durable plastic construction and features two fun characters, a squirting shark and a constant running water fountain. Kids can keep the water moving by pumping or pouring the water into the crows nest; the spinners cause a current in the ship which moves floating objects around. Kids can aim and squirt water from the water cannon to see the steering wheel spin, and the anchor raises and lowers by cranking the handle. — As of 6/6/2011 this product had 3.2 out of 5 stars from 39 reviews on Amazon.com. 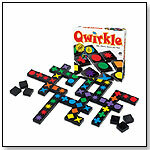 Pros: Interactive; keeps kids engaged. Cons: Numerous reports of the plank and the cannon squirter breaking; expensive; water flow in fountain isn't strong enough to make the wheels spin smoothly. The Step2 Naturally Playful Sandbox has four molded-in "cornerstone" seats, and a sunshine-motif lid that protects sand from weather and critters. It can also double as a large planter. Fully assembled. Sand and sand toys are not included. Step2 Naturally Playful Sandbox holds up to 200lbs of sand. It is approximately 15.5" Height x 44" Width x 32" Depth. 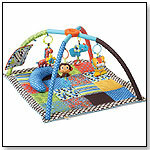 Designed to pop up in a single motion, this play gym includes four toys and a bolster pillow to be used for tummy time. It is available in two color options. — “Infantino knows babies and knows what Mom's want and need in quality infant products,” declared Deborah Sloan at Baba’s Farm Life. Deborah loved how well thought out the Twist & Fold Activity Gym is with its emphasis on stimulation, style and safety for baby. — As of 05/24/2011 this product had 4.6 out of 5 stars from 62 reviews on Amazon.com. Cons: one reviewer said that hers would not stand up straight; One person said the colors in real life were different than those depicted online. This colorful rattle comes in a twisted barbell design. 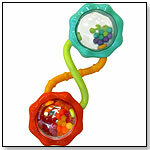 The transparent plastic ends hold colorful balls that rattle when baby shakes the toy. — As of 05/31/2011 this product had 4.7 out of 5 stars from 58 reviews on Amazon.com. Pros: Lightweight; bright colors; easy for small hand to grab; not overly loud. Cons: The plastic is hard, and one parent complained that their child kept hitting itself in the face, and needed a softer rattle; one reviewer said her baby liked a different rattle that was easier to hold. In a great green room, tucked away in bed, is a little bunny. "Goodnight room, goodnight moon." And to all the familiar things in the softly lit room – to the picture of the three little bears sitting in chairs, to the clocks and his socks, to the mittens and the kittens – he says goodnight. In this classic of modern children's literature by Margaret Wise Brown, the quiet poetry of the words and the gentle, lulling illustrations combine to make a perfect book for the end of the day. Launch date: October 1, 1996.